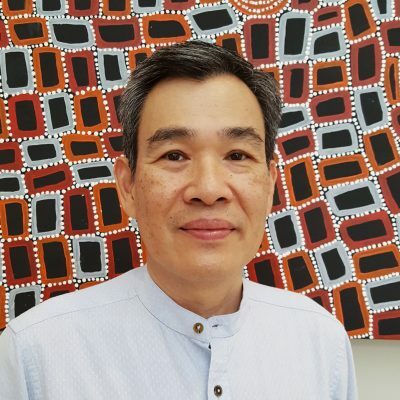 Dr Arthur Teng is a consultant paediatrician and Director of Sleep Medicine at the Sydney Children’s Hospital in Randwick. He was Respiratory Fellow and Chief Resident at the then Prince of Wales Children’s Hospital before training with Professor Colin Sullivan at the University of Sydney. Currently he is Conjoint Senior Lecturer in Paediatrics at the University of New South Wales. He is a founding member of the Asia-Pacific Paediatric Sleep Alliance (AAPSA) and was secretary of the Australasian Sleep Association. His clinical and research interests include the neuropsychological impact of sleep disorders in children, parasomnias, infantile obstructive sleep apnea and childhood narcolepsy. Norman, M, Pithers S, Teng A, Waters K, Sullivan C: Quantitative measurement of partial upper airway obstruction in children with sleep-disordered breathing. Sleep. 2017 Mar 1;40(3). doi: 10.1093/sleep/zsx017. Oliveira VXN, Teng AY. The Clinical Usefulness of Sleep Studies in Children. Paediatr. Respir. Rev. (2015), http://dx.doi.org/10.1016/j.prrv.2015.08.003. Wong MW, Champion D, Williamson BD, Qiu, Wen, Teng AY: Growing Pains and Periodic Limb Movements of Sleep in Children. J Paed Child Health. 2014: 50 (6):455–460. Mindell JA, Bartle A, Abd Wahab N, Ahn Y, Ramamurthy MB, Huong HTD, Kohyama J, Ruangdaraganon, N, Sekartini R, Teng AY, Goh DYT: Sleep education in medical school curriculum: A glimpse across countries. Sleep Medicine 2011; 12: 928–931. Martin BT; Williamson BD; Edwards N; Teng AY. Parental symptom report and periodic limb movements of sleep in children. J Clin Sleep Med 2008; 4(1):57-61. Teng A: Snoring and Obstructive Sleep Apnoea in Children. Paediatrics & Child Health in Gen. Pract. 2008; 2: 13-14. Campbell TA, Papadopoulos DJ, Verge CF, Teng AY: Incidence of sleep disorders in children with presumed normal variant short stature J. Paediatr Child Health 2005; 41:358-360. Harrington C, Kirjavainen T, Teng AY, Sullivan CE: nCPAP improves abnormal autonomic function in at-risk-of SIDS infants with OSA. J of Applied Physiol 2003; 95:1591-1597. Teoh L, Epstein A, Williamson B, Morton J, Papadopoulos D, Teng A. Medical Staff’s Knowledge of Pulse Oximetry: A Prospective Survey Conducted in a Tertiary Children’s Hospital. Journal of Paediatrics and Child Health 2003; 39:618-622.